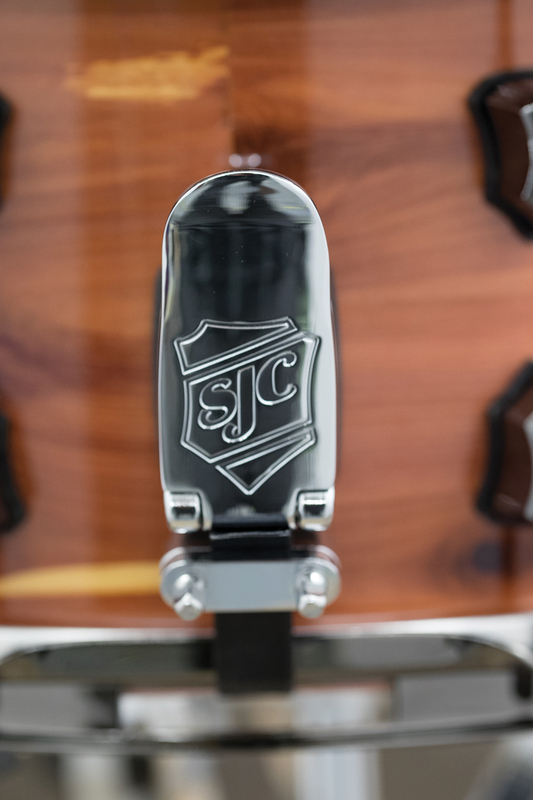 The pride from all the craftsmen at SJC that goes into each handcrafted build is met with equal quality, proprietary, and road-worthy components. 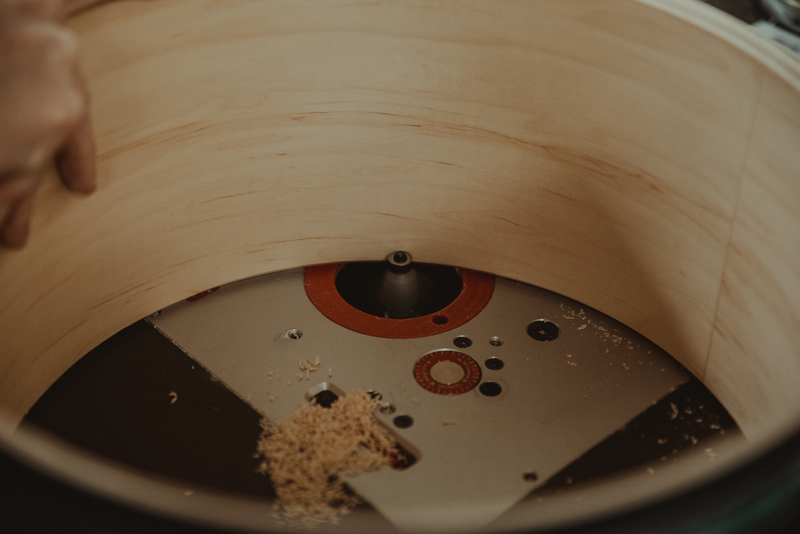 We use only the finest materials and methods to ensure our drums are unparalleled in quality. With seemingly endless ways to customize them, you can truly design your drums to be an extension of your personality! The experience you get from us is super important, and we want to make sure from the moment you speak to us, to the day your dream arrives, and you're playing them with passion, that your expectations are exceeded. Smooth and rich midrange with warm lows. Mahogany is a very resonant wood type with a vintage tone character. Bright highs with punchy low end. Birch is a dense tonewood that cuts through the mix with crisp top end and slightly scooped mids. Strong attack and presence, with even highs, mids and lows. 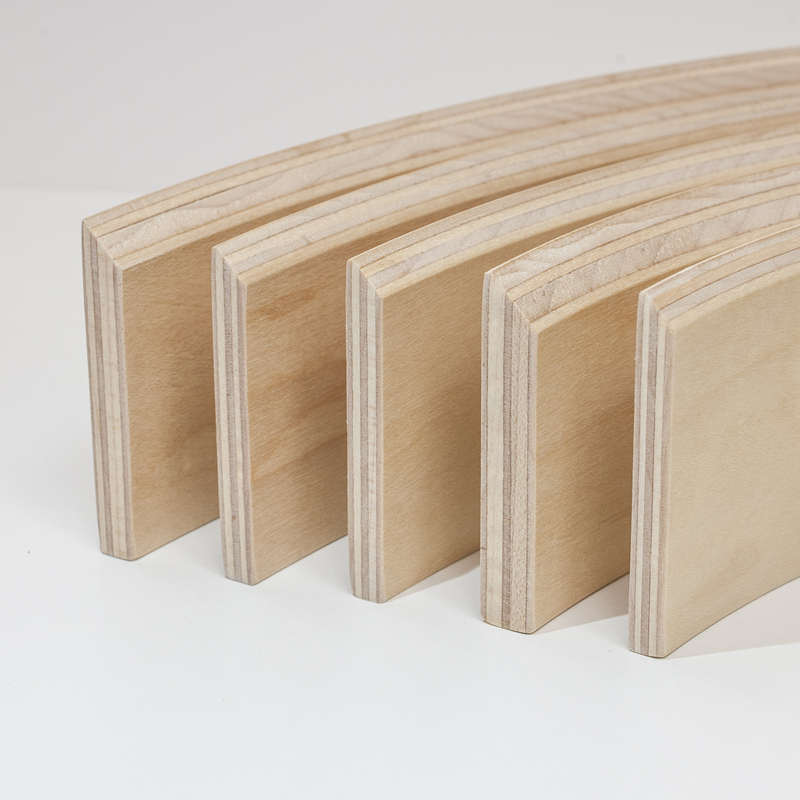 Acrylic produces a more focused tone than wood shell types, often described as a "fat" tone. Aluminum: Crisp and dry tone with increased volume. Aluminum typically has a shorter sustain than other metal shell types and cuts through mixes with ease. Steel: Bright tone with a resonant sustain. Crisp highs, colorful overtones and increased volume help steel snare drums penetrate through any mix. We also offer a variety of exotic woods and custom shells - inquire with your Artist rep about your needs, and we'll make sure to accomodate! Our proprietary diecast, springless Shield Lug is the standard lug we use on all of our drums. They offer great tuning stability and adjustability. 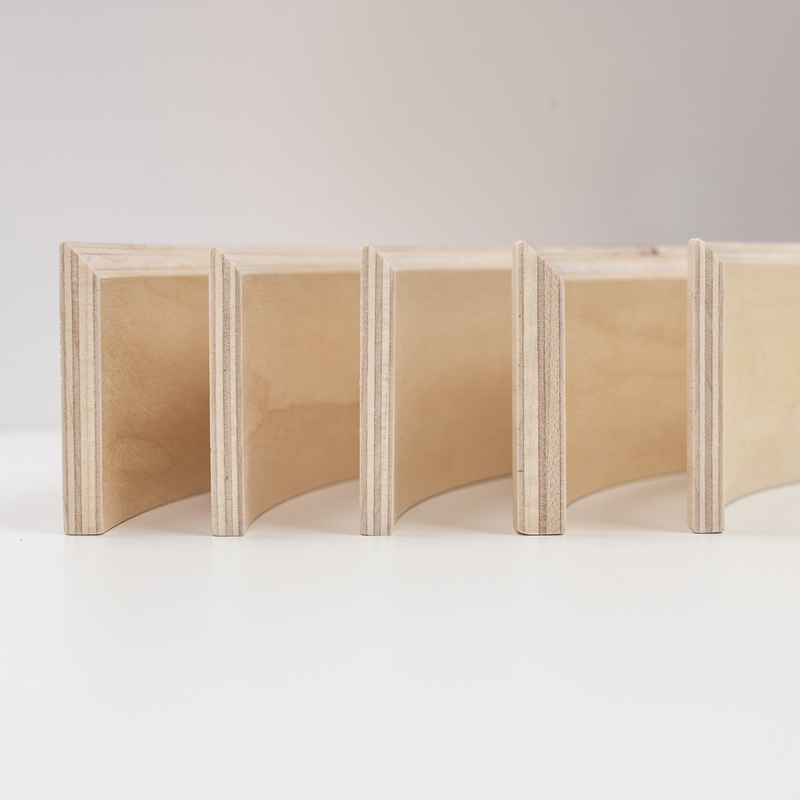 We designed these without springs to keep them quiet when you’re in the studio. All lugs come with gaskets to protect the finish on the shell. Lugs can be aligned vertically or at a 50% offset. 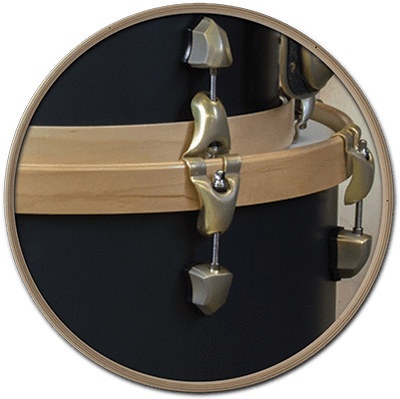 2.3mm triple-flanged steel hoops are the most popular type of tom hoops we use. They encourage open and long sustain. 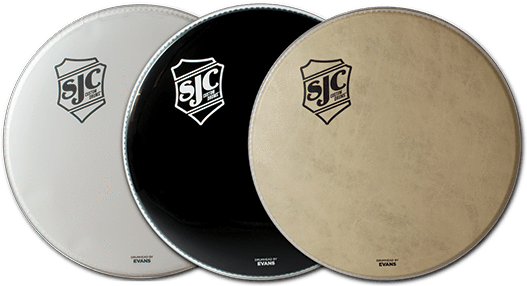 We use 3.0mm triple-flanged steel hoops on our custom snares because the increased thickness offers a slightly more focused attack as well as better durability. Our Claw-style wood hoops give you a custom look with a vintage flavor. 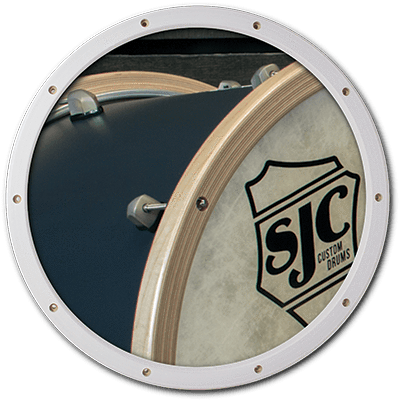 These wood hoops are lightweight and encourage a softer, warmer tone on toms and snares. Our Superply wood hoops help increase focus and shorten the attack of the drum head. They also give a unique look to your custom drums. 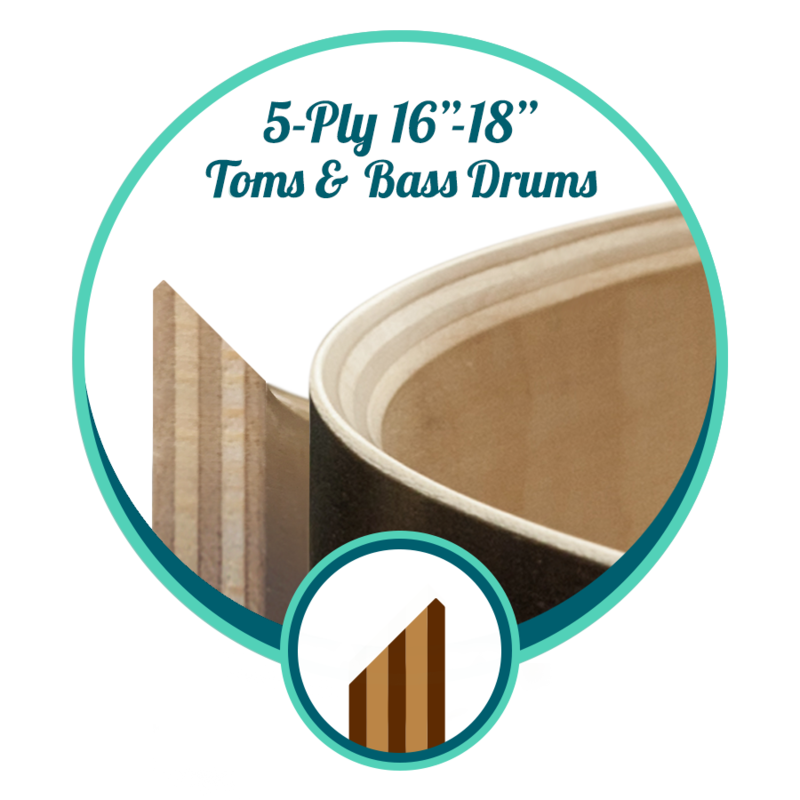 We craft 36 ply tom and snare Superply hoops and 44 ply bass drum Superply hoops. Our Butcher wood hoops feature wood ply collars that hide the lugs on a drum shell, creating a unique and custom look. These hoops feature increased focus and softer attack similar to our Superply hoops. 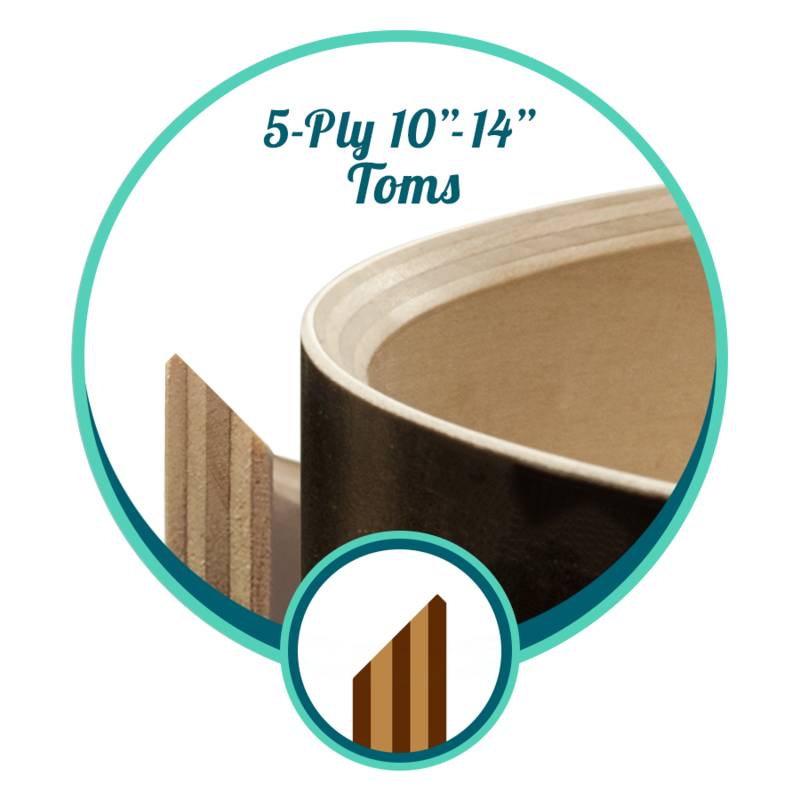 We craft 42 ply tom and snare Butcher wood hoops and 52 ply bass drum Butcher wood hoops. We exclusively use Evans heads on our drums - we have found that their Level 360 technology works best with our drums. Your drums come tuned up and ready to play with top-quality heads. TOM & SNARE BATTER HEADS: Our standard batter side tom and snare head is the Evans G2 Coated head. With 2-plies of 7mil film these heads offer superior focus and depth. Evans 360 technology ensures heads fit consistently to make tuning easier and more stable. TOM RESONANT HEADS: Our Standard resonant head on our toms is the Evans Genera Resonant. These head pair perfectly with 2-ply batter heads and produce great sustain and projection. SNARE RESONANT HEADS: Our standard snare side head is the Evans 300. With a single layer of 3mil film, this resonant head offers even, versatile tone halfway between dark and bright. BASS DRUM BATTER HEADS: All of our bass drums 20” and larger come with the Evans EMAD2 batter head. This 2-ply batter head with the Evans EMAD damping ring offer superior attack and punch while being incredibly durable. 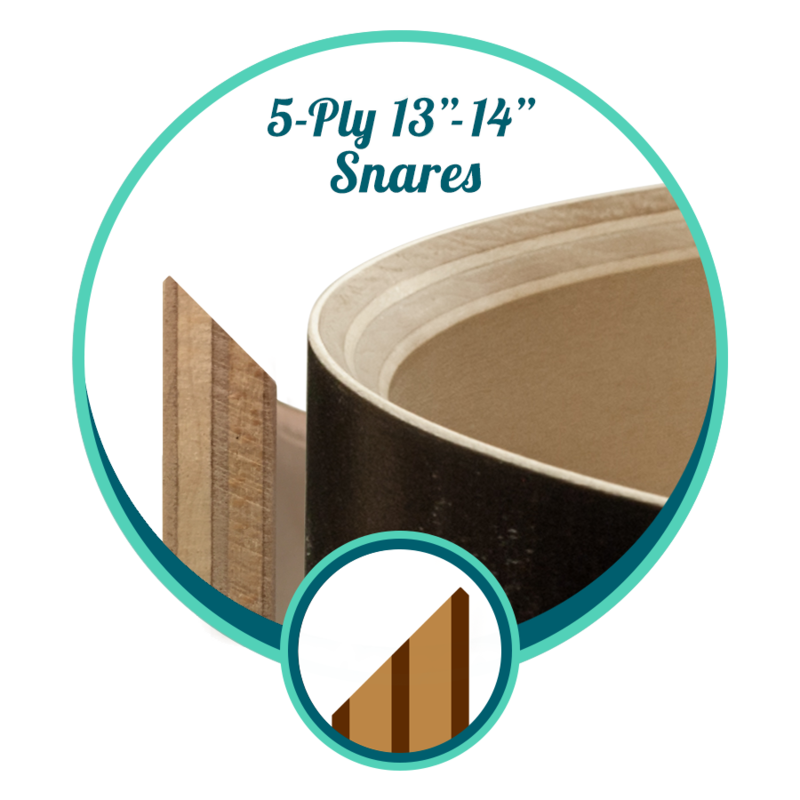 *Our 18” bass drums come with Evans EQ4 Clear batter heads to help these small bass drums breathe a little. These heads offer a strong punch that doesn’t choke the drum. 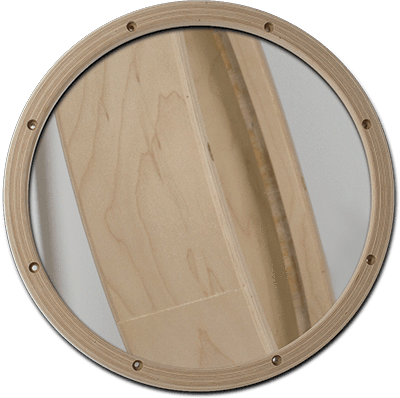 BASS HOLES: We offer a 6” reinforced bass drum hole in your resonant bass drum head making using a microphone for recording and live use more convenient. 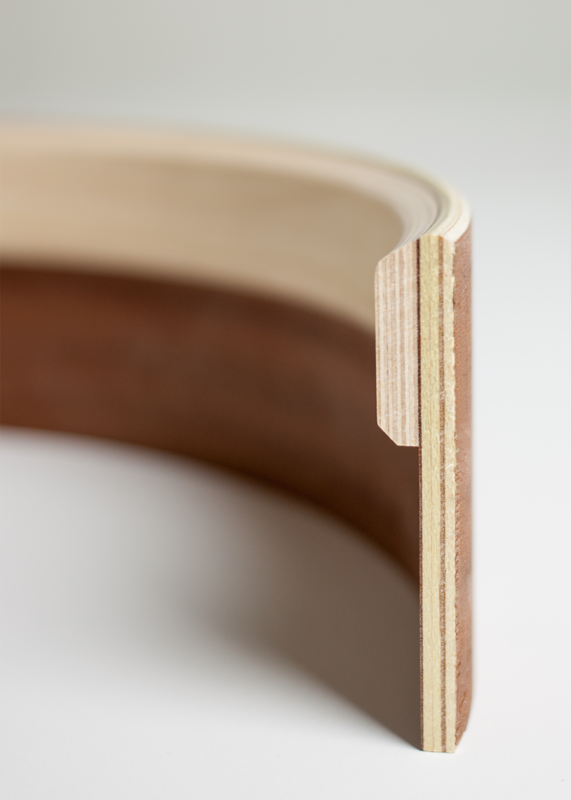 Adding a hole also allows more air to escape the drum resulting in decreased low end punch and sustain acoustically. We recommend no hole if you’re not mic’ing your bass drum often, as the drum resonates much better without. 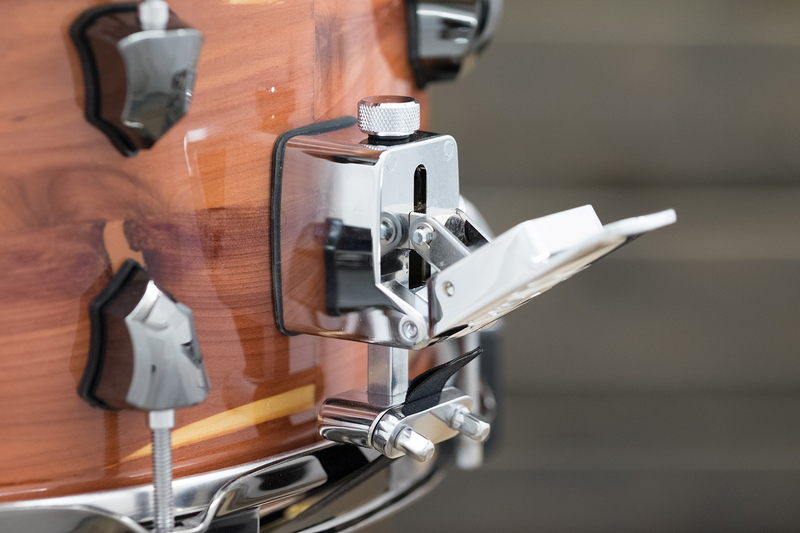 We offer hanging mounts for your rack toms that match your kit’s hardware. These hanging mounts all come equipped with our SJC branded low profile brackets that will mount to any 10.5mm rod. 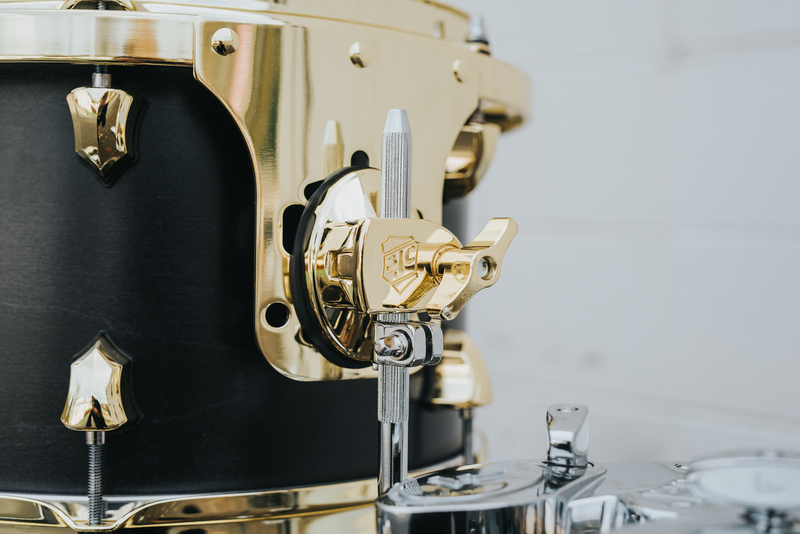 Many of our drummers prefer to mount their rack toms on snare stands which works especially well on deeper than usual rack toms and toms with Butcher Hoops. *Hanging mounts are not compatible on drums with Butcher Hoops. Our own SJC branded brackets for floor tom legs and hanging mounts are sized for 10.5mm legs and rods. These are lower profile to reduce the mass added to the drums. 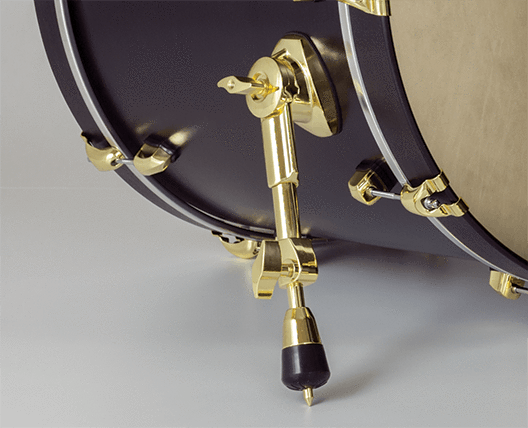 Our Heavy Duty Bass Drum Spur is standard on all Custom Order drum kits. These are sturdy and include twist and pull spring loaded feet so you can hide or expose the spur anchor with incredible speed and simplicity. 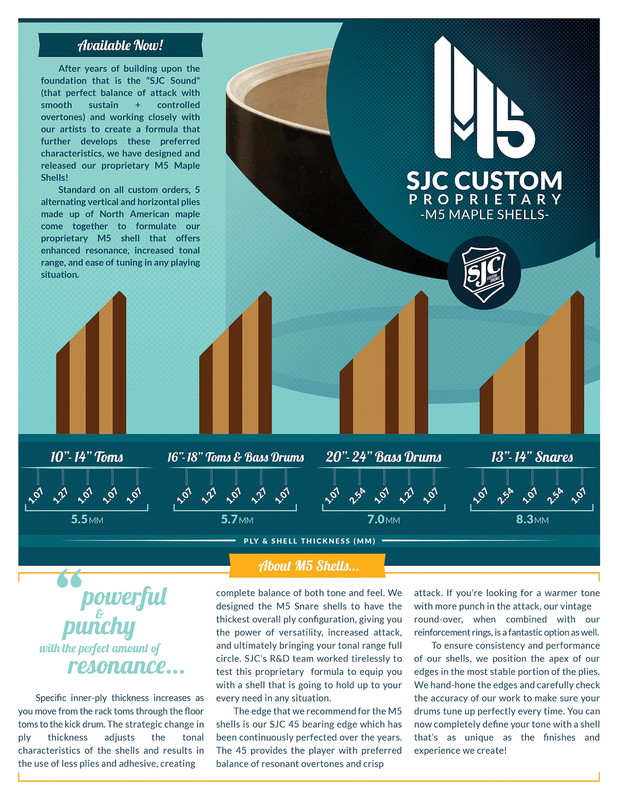 The SJC Quick Drop Throw-off was designed to be quick and dependable, offering smooth action through each adjustment. A simple tug will effortlessly drop the lever and it stays locked in when the snares are engaged. 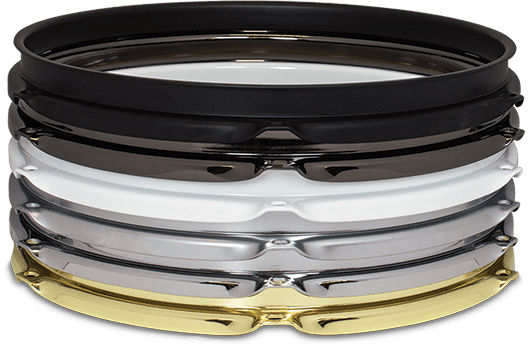 All of our USA crafted snares whip with the Drop Throw-off and it is currently available in both chrome and black finishes. 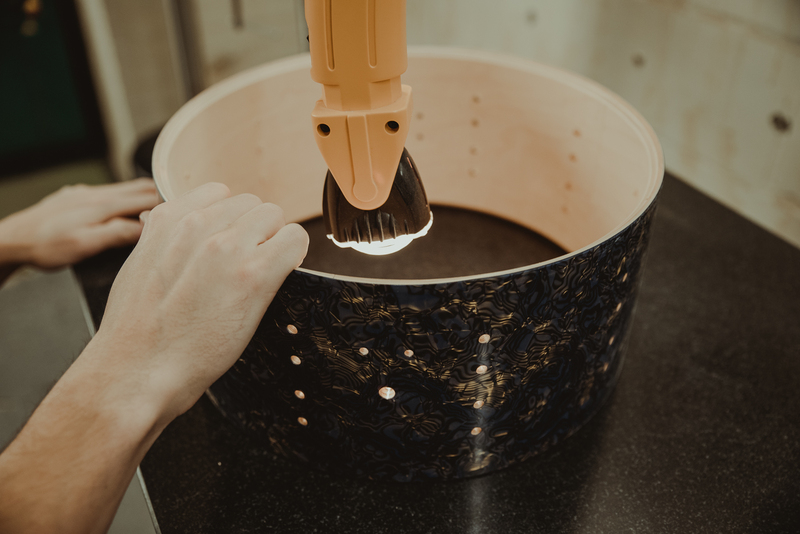 We offer multiple options of stains, paints, wraps and veneers to help make your drums as unique as you. Looking for something extra detailed or with custom graphics? We have an amazing graphic design team who can illustrate anything from custom colors to designs and patterns - the sky is the limit! 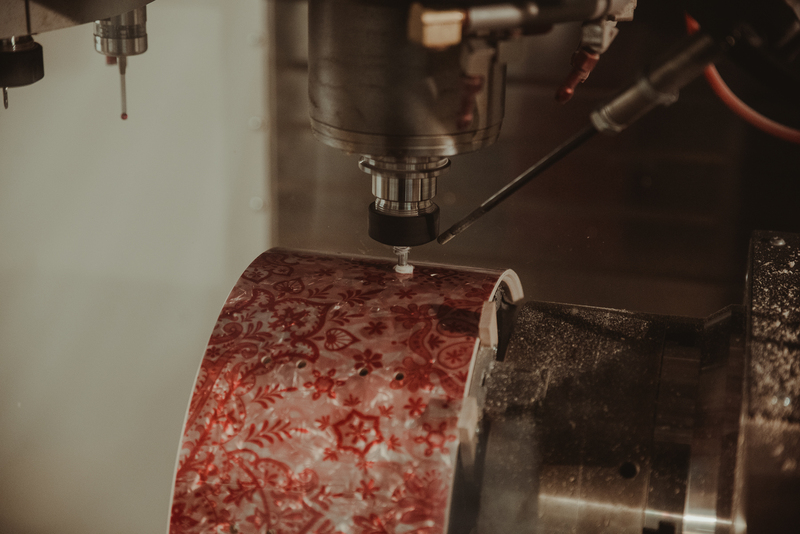 We have an incredible paint department who can do any satin or paint finish you could ever want - bursts, sparkle lacquers, and even UV glowing paints. You dream it, we build it! Check out our amazing finish options and contact us today to share your custom ideas! Need more info? Hit us up!